Things are moving fast here at NKKP HQ, and our travel plans are coming together. 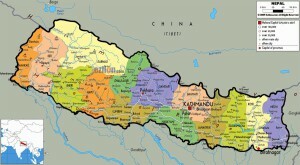 Our travelling party consists of three volunteers (Alex, Dave & Scruff) heading to Nepal on November 5th. Plans may change as there is a fuel crisis in Nepal at present, but we are advised that travel is still possible so confidence in our itinerary remains high. We plan to spend the first 4-5 nights in Kathmandu acclimatising and holding practice screenings, before heading to the mountainous Dhading area where we will spend around two weeks hosting film-making workshops and screenings in a series of village locations. Meanwhile in the UK fundraising events continue apace with DJ Cheeba’s live re-score of Plan 9 From Outer Space on Wednesday 28th October and the Cabaret of Curiosities at The Cube on November 7th approaching. Check out the ‘Fundraising Events’ tab on this website for further opportunities to support the project.